Have you already decided how to spend Valentine's Day? The best gift often comes along with a special time to share with your partner. 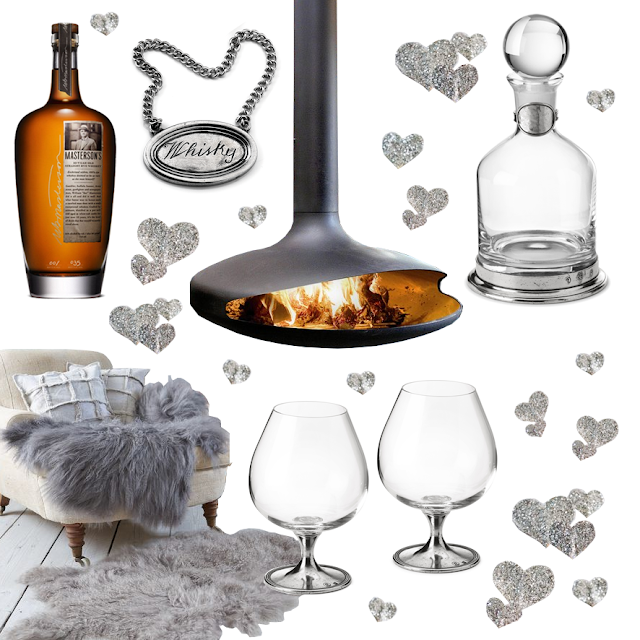 We’re happy to suggest three romantic moments to enjoy your Valentine's Day, see below our three mood boards full of inspirations and a special discount code. Relax and comfort, the warmth of the water and the delicate scents of a SPA are a perfect combination to escape the everyday life and immerse yourself in a romantic atmosphere. 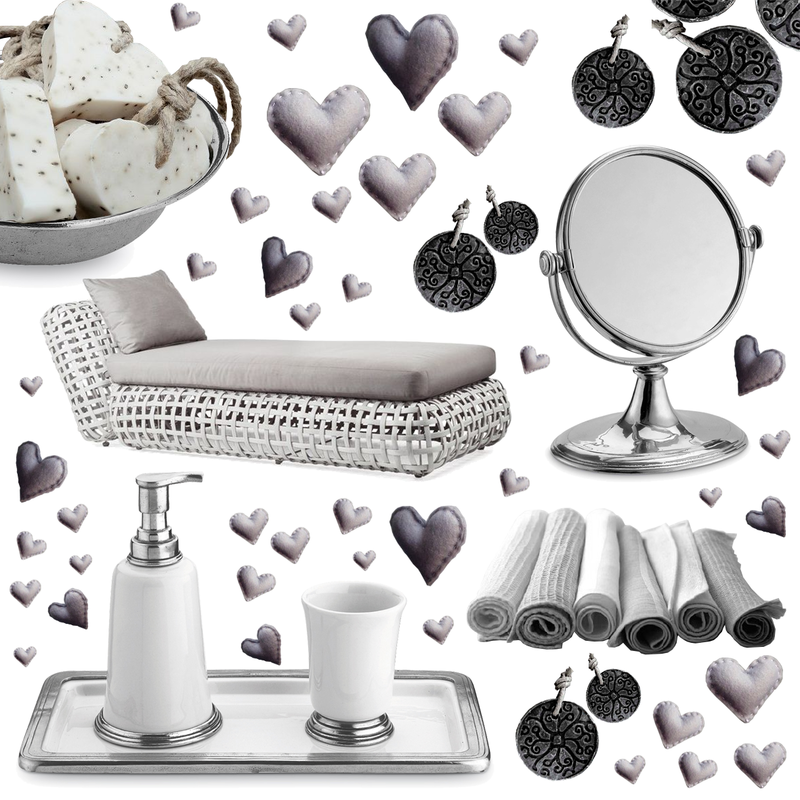 In the first mood board you find the pewter and ceramic soap dispenser, the table vanity mirror, the pewter round bowl, the pewter and ceramic tumbler and the Marinoni rectangular tray. 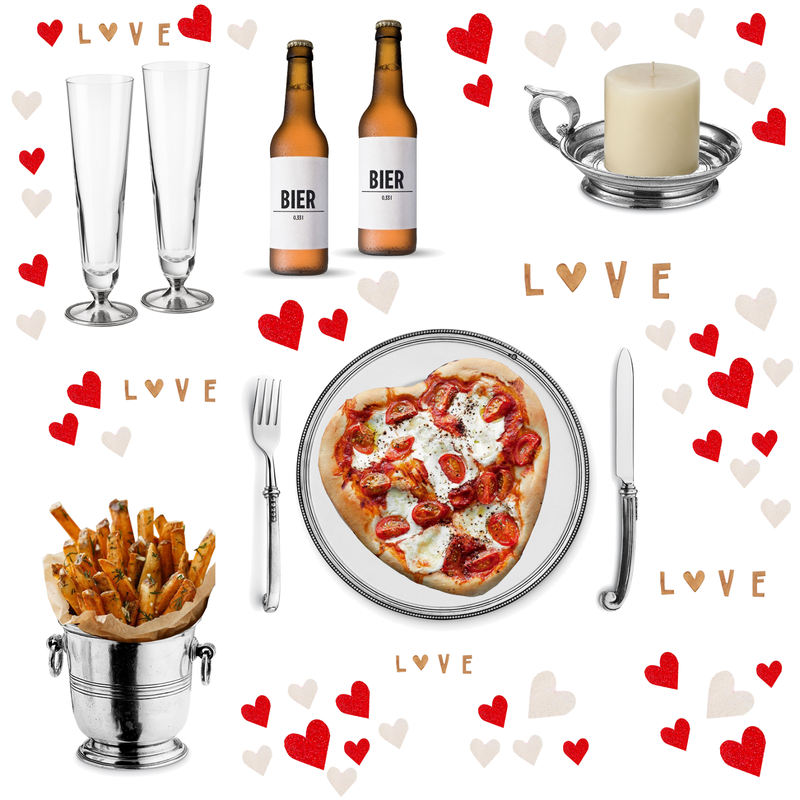 Dinner can be romantic and tasty even if you don't follow the usual cliché: pizza and beer are a great option for a most dynamic and colorful Valentine's Day. The ice bucket fits perfectly as a breadsticks holder. In the second mood board you can find the beer glasses, a pewter and ceramic dinner plate, the Marinoni cutlery and a simple and elegant candle holder. To celebrate Valentine's Day we also prepared a special discount code, sorry not valid for singles. Enter the code STVAL14 to receive the discount of 14 % valid until February 14th, and buy at least two products. Because two is better.